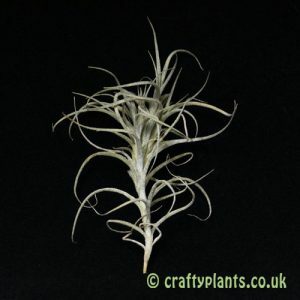 A real showpiece in any collection, Tillandsia ‘Redy’ has got to be one of the most eye catching hybrid air plants. 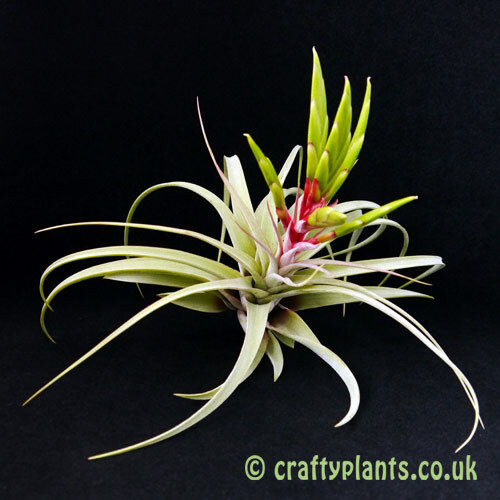 The aim with any hybrid is to bring together the best features of both parents and Tillandsia ‘Redy’ does just that! 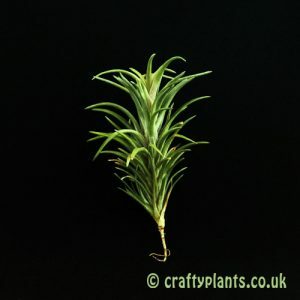 Combining the more succulent recurving leaves of Tillandsia streptophylla, slightly stiffened and straightened by the Tillandsia concolor genes, this creates a truly impressive plant. 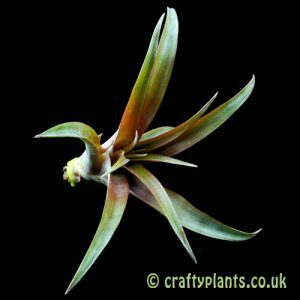 As if its sculptured shape isn’t enough, when ‘Redy’ comes to flowering, this kid even manages to top both of its parents! 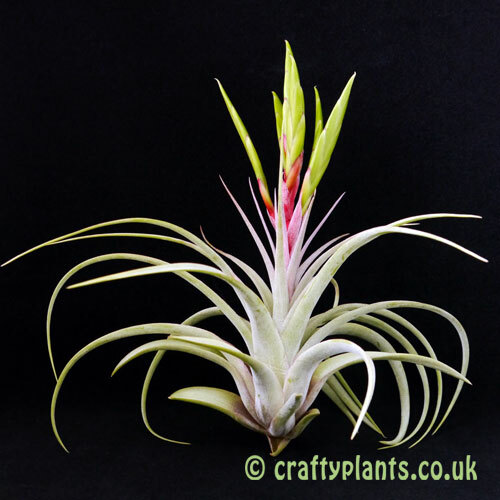 The fantastically coloured, well branched inflorescence can last for months as relatively short lived tubular purple flowers are produced in succession. Tends to reach maturity between 8-12″. 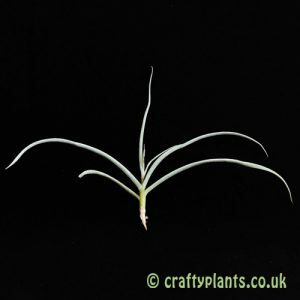 Supplied as mature plants 8-10″.